The 60th Pot O’Gold Sale was held on Saturday evening, November 4, in Louisville, Ky., as part of the All American Junior Jersey Show activities. 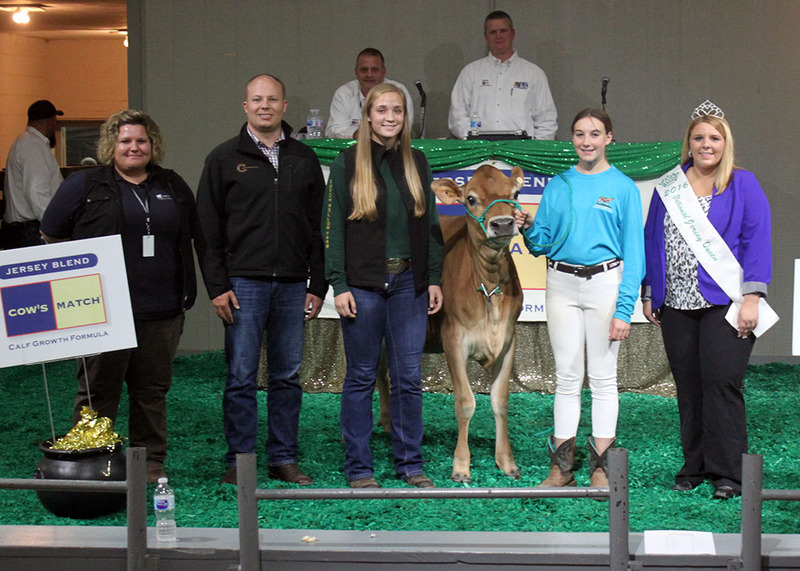 A huge thanks to Cow’s Match Jersey Blend, Land O’Lakes Animal Milk Products for continuing to support our Jersey youth! A great night of family bonding and new and seasoned Jersey youth experiencing the thrill of a sale, 32 genomic tested heifers paraded through the ring at the Pot O’Gold Sale. They averaged $2959. 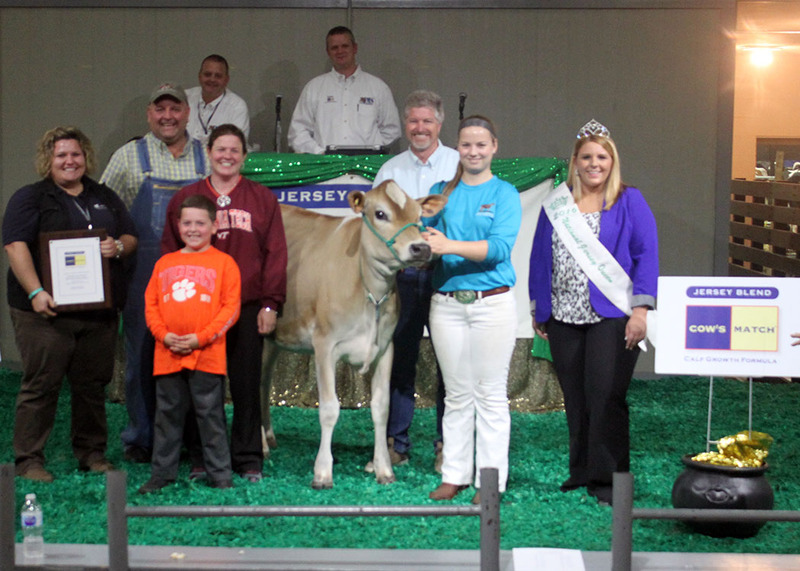 Top selling heifer was consigned by Her-Man Jerseys and Sunny Day Farm, Chester, S.C. Lot 136 is Her-Man/SDF Balin Beck-P, selling for $7500 to Camille Herrera of Hilmar, Ca. Second high selling heifer, and another exchange of coasts, was Lot 107, Primus Kwynn Haven-ET. She was consigned by Jerseyland Sires, Turlock, Ca., and was purchased by Lydia Chittenden, Schodack Landing, N.Y., for $5200. We wish all the Jersey youth all the best with their purchases in the 60th Pot O’Gold Sale. You make us all proud!